As we near the end of 2018, the number of school shootings that have occurred in the United States this year alone reaches over 20, eight of which resulted in fatalities or injuries. Many students at Batavia High School feel unsafe due to the increase in school violence in the United States and feel as though the school does not work to address their safety concerns. The school faculty and student body put in several hours a week to focus on sports through both practices and games, not to mention the time spent on planning and putting together events such as any pep rallies, fundraisers, or spirit weeks. Yet after the number of situations that occurred this year, including at one point what many students believed was a threat at our school, the school finally addressed the situation and decided to dedicate about 10 minutes per class once a year to show kids the same slideshow on active shooter situations, and even then some teachers didn’t go as far as to show the slideshow. Batavia has several different security systems implemented ranging from locked entrances to plans for different emergency situations. 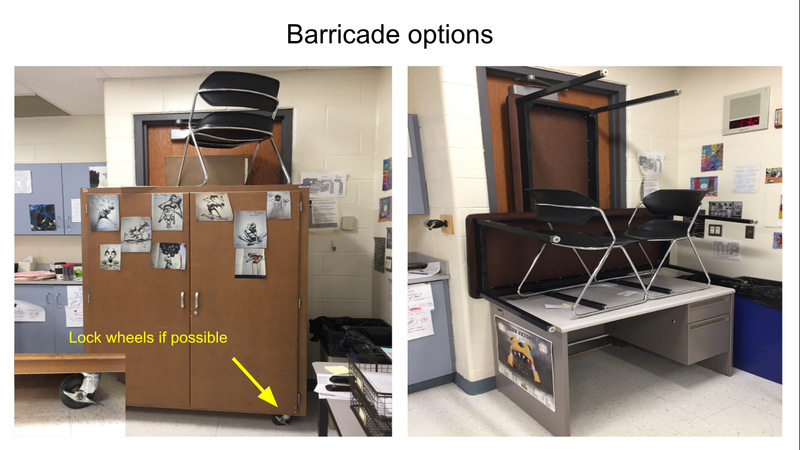 Despite these precautions, in a survey of 56 Batavia High School students, 61 percent of respondents said that the increase in violence in schools in America has made them feel unsafe at school. Additionally, 79 percent of the respondents stated they wished that the school would do more to improve student safety. The world continues to change and industrialize rapidly. Along with that, the threats people face continue to change, too. Millions of years ago humans’ greatest threat was being killed by predators, hundreds of years ago it may have been natural disasters or economic crisis. The threats we face now are very different from those faced a few years ago, so naturally, the way we would handle these situations should change, as well. Yet year after year, the school gives the students the same cookie cutter drills for the same specific events. Students feel as though not enough concern is put into improving the safety of students or addressing different situations they could potentially be faced with. There are so many possibilities and none of them are ever discussed. In speaking with Antonio Inglese, the Chief Financial Officer at Batavia, he said that hearing students’ ideas is very important to the school. The board works hard to meet with student ambassadors, and members of the board visit the school once a year to talk to students and listen to their ideas and concerns. These two people believe that the board always listens to student wants and needs, and wants to do whatever they can to help provide students with a good and safe learning environment. However, 70 percent of the surveyed students stated that they feel their concerns and or opinions are not addressed by the school. Sure, Batavia High School implements the bare minimum for safety, as many high schools do; but if we continue to ignore the possibilities of these events happening, they will not simply go away. The chances of a bad outcome will only increase as a result of students who were not provided with enough proper preparation or the safety that is ultimately necessary in today’s world.